Russia is facing growing threats, for a range of reasons, but yesterday’s murder of its ambassador to Turkey is unlikely to break Moscow’s relations with Ankara, writes Stratfor. Russian Ambassador to Turkey Andrei Karlov was shot and killed on 19 December at an art exhibition in Ankara, where he was delivering a public address. Turkish security forces subsequently killed the gunman, reported to be Mert Altintas, a member of the special forces department of the Turkish National Police and part of Karlov’s security detail. Three others were wounded in the attack. 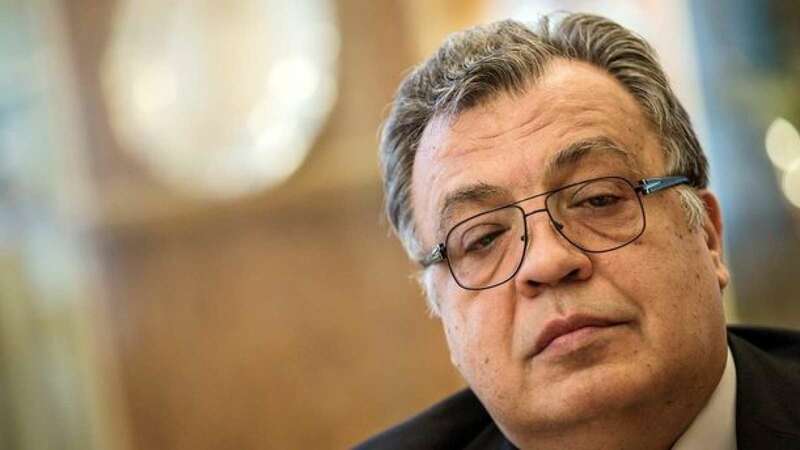 There are many possible motives for the attack on Karlov: Most obviously, it could have been an angry Turkish citizen upset by the recent rebel defeat in Aleppo; it could have also been a jihadist plot seeking retribution for Russian action against terrorist groups in Syria. Regardless, if confirmed that the attacker was a member of the Turkish National Police, which was heavily infiltrated by Gülenists prior to the coup, Turkish President Recep Tayyip Erdoğan may further clamp down on the Gülenists, whether the attacker actually had links to the group or not. The attack comes at a bad time: Moscow and Ankara have only recently restored diplomatic ties after Turkey downed a Russian aircraft in November 2015. Though the attack will strain relations between the two countries, however, it is not likely to rupture them altogether. Moscow will lean heavily on Ankara for intelligence-sharing and will demand more autonomy in protecting its assets. Yet neither country is keen to backtrack on the economic and diplomatic progress made over the past year. And now that Turkish forces are active deep within Syria, Ankara needs to maintain a working relationship with Moscow now more than ever. Turkey’s foreign minister is scheduled to attend a meeting in Moscow tomorrow with his Russian and Iranian counterparts to discuss Syria. Russian officials have confirmed that the meeting will still take place. If the attack on the Russian Ambassador is in fact an angry response to Moscow’s involvement in the retaking of Aleppo, it is a violent aberration of recent anti-Russia protests, which have been mostly peaceful, at diplomatic buildings worldwide. In fact, pressure is mounting on Russia for a range of reasons. There has been an uptick in thwarted terrorist plots and threats in Russia over the past few months. On 1 August, the Islamic State called for attacks against Russia. In November, Russian security forces conducted several raids that appeared to link radicalised Central Asian militants and plots against major Russian cities. On 15 December, Russian authorities broke up a group allegedly plotting attacks against targets in Moscow. The plots are probably not directly linked to yesterday’s assassination, but taken together, they clearly demonstrate the growing threats Russia, and its citizens, face. Moscow is unlikely to shift its approach in Syria in response.